A un piquete pacífico en #HuelgaAmazon se responde con detenciones y golpes de porra. @FSCdeCCOO condena enérgicamente estas prácticas intolerables que no se corresponden con una democracia formal. The workers at the Madrid facility, nearly half of whom are temps, had previously gone on strike in March. This week, they are demonstrating not only against what they said were gruelling work conditions, low compensation, and conditions placed on time off, but the expiration of a collective bargaining agreement in 2016 that Amazon has taken advantage of to chip away at previous levels of benefits, according to the Financial Times. Público wrote that other than the actions of police, union representatives said the protest was peaceful. According to El Diario, union delegate Douglas Harper contested police accounts of organised attempts to block traffic and said that the charges began after a girl, a minor, that was with the strikers left the pavement onto the road. Público added that the demonstrations appear to have significantly cut down on Amazon’s ability to fulfil shipments from the warehouse. 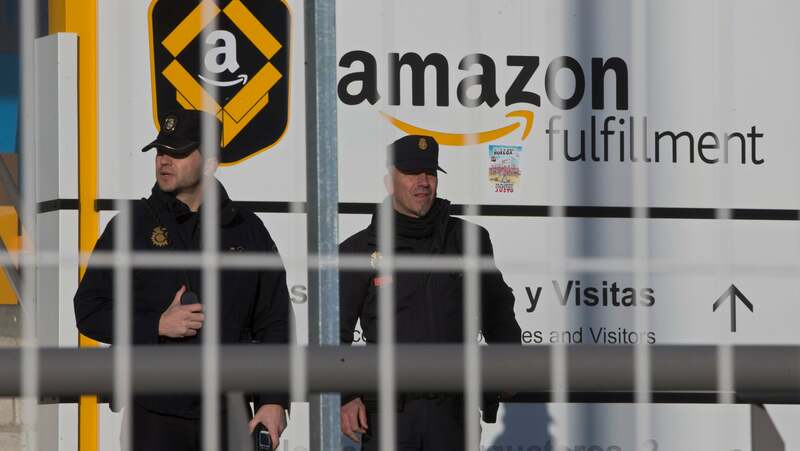 According to the Washington Post, lobar organisers say 96 per cent of the warehouse’s workforce joined the strike, while the Financial Times reported the Confederación Sindical de Comisiones Obreras union (Spain’s largest) said that only 80 workers of the 1,400 in Madrid were left at their posts on Monday during the Prime Day promotion. Amazon contested those figures, telling both papers that a majority of workers opted to continue working.